The Gospel of our Lord Jesus Christ speaks all languages. It esteems and embraces all cultures. It supports them in everything human and, when necessary, it purifies them. This Sunday is Aboriginal and Torres Strait Islander Sunday for Catholics it marks the start of NAIDOC Week (National Aborigines and Islanders Day Observance Committee). The week is a celebration of Aboriginal and Torres Strait Islander cultures and an opportunity to recognise the contributions of Indigenous Australians in various fields. The theme of NAIDOC week in 2013 is “We value the vision: Yirrkala Bark Petitions 1963” This marks 50 years since the Yirrkala Bark petitions were submitted to the Federal Government. In 1963 the Yolngu people of Yirrkala in northeast Arnhem Land were seeking recognition of their traditional rights and ownership of the land. This petition helped shape the recognition of the traditional owners of Australia and led to the reforms of the 1967 constitutional referendum, the acknowledgment of Aboriginal land rights in 1976, and the overturning of ‘terra nullius ‘in the Mabo Case in 1992. In their statement the Bishops remind us of the real consequences of the failure to acknowledge that rightful place. 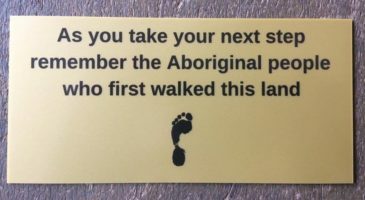 Indigenous peoples of Australia suffer from over-representation in the legal system, high rates of substance abuse, high rates of self harm and suicide rates and overcrowded housing that leads to poorer outcomes in health, child protection, family security, education and employment. Halving the gap in employment outcomes between Indigenous and non-Indigenous Australians within a decade (by 2018). According to the latest report to COAG “Indigenous Reform 2011–12: Comparing performance across Australia” on these targets, Australia is on track to halve the gap in child death rates by 2018. In 2011, 91% of Indigenous children in remote communities were enrolled in a preschool program in the year before formal schooling. This result is close to COAG’s target. And the rate of Indigenous Year 12 or equivalent attainment as a whole is on track to halve this gap by 2020. However only the Northern Territory is on track to close the gap in Indigenous death rates within a generation. Looking at the five-State total, in 2011, Indigenous peoples died at nearly twice the rate of non-Indigenous peoples. From 2006 to 2011, the employment gap widened on three measures—employment, unemployment and labour force participation. Only NSW reduced the gap in the employment rate in the period 2006–2011. The post school qualifications gap widened in Australia and most jurisdictions, but narrowed slightly in NSW and the ACT. Who are the Aboriginal people in our area? If there are none there now, what happened to those who used to live there? What Indigenous language is or was spoken in our area? What Indigenous cultural activities happen in your area: art, dance, music, literature?